An example of the land value differences thanks to the Urban Development Boundary (UDB), according to Jeff Onsted of FIU. Since it was implemented in the early 1980s, the UDB has been the dividing line between urban housing and commercial development on one side and rural lands on the other. 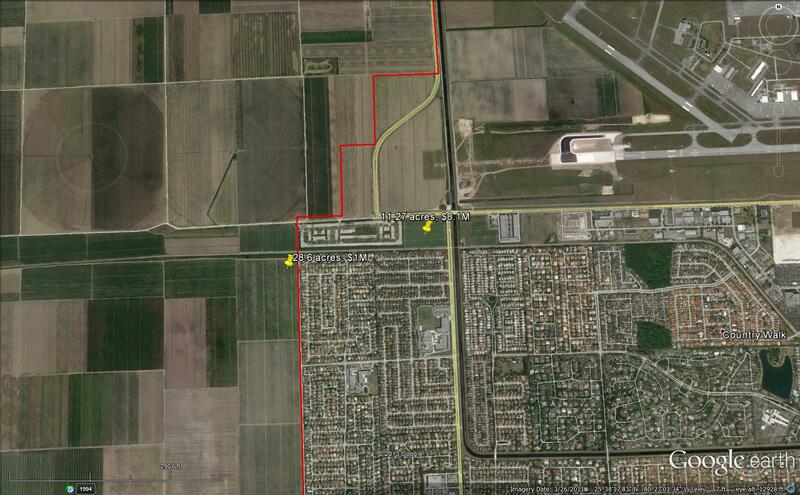 The line separates city-living from farms and protected areas. It also has a significant economic impact according to both Miami-Dade County Agriculture Manager Charles LaPradd and FIU Geography Professor Jeff Onsted. Onsted highlighted the significant difference in assessed property values depending upon which side of the line lies the land. That value difference becomes part of a farmers calculation whether or not to remain in the South Florida agriculture industry. FIU Geography Professor Jeff Onsted straddles the Miami-Dade County Urban Development Boundary at Miller Road and SW 167th Avenue. While having a farm inside the UDB brings with it a significantly higher value and ability to borrow against that land value, it also brings neighbors. These neighbors may not be farmers or folks who understand the resources, noise and smells of modern farming. 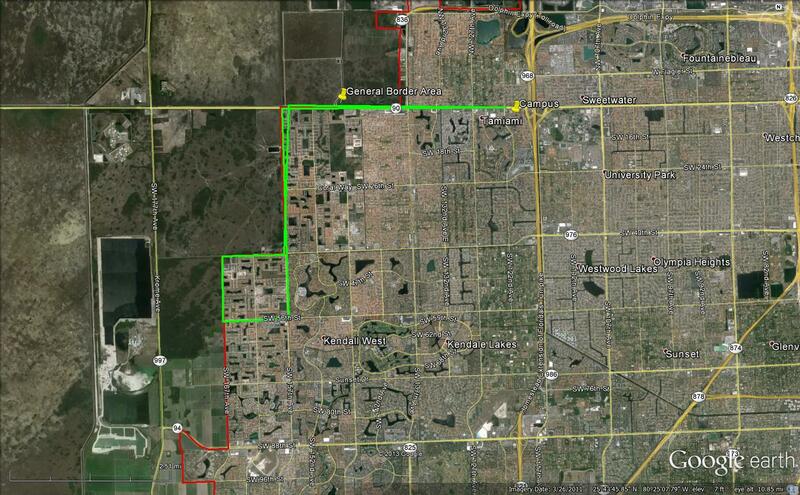 We traveled outside the UDB with LaPradd to talk about the dividing line and we drove along the line with Onsted of FIU (our path is in yellow in the photo below) to hear about how the line, even when it separates urban living from protected lands, can impact the agriculture industry.